Four requests to the Metro Council to build more housing could reduce owner-occupied home prices slightly in the Portland area, according to a recently released report by the planning staff of the elected regional government. Beaverton, King City, Hillsboro and Wilsonville have requested the council expand the urban growth boundary, or UGB, it administers by 2,200 acres to accomodate a total of 9,200 more housing units. The council planned to discuss the requests during a work session July 17. Wilsonville is requesting an expansion east of city limits along Advance Road. "If developed, the four proposed UGB expansions would result in modest reductions in housing prices for owner-occupied housing by providing additional housing supply," reads the draft 2018 Urban Growth Report released on July 3. The council is scheduled to rule on the requests on Dec. 13. The requests are supported by the Home Builders Association of Metropolitan Portland. "As the region grows, we must unite to meet the housing affordability and supply crisis. The four city proposals are thoughtful, viable approaches to growth that must be part of the overall solution," said Paul Grove, the association's director of government affairs. Even if the requests are approved, Metro staff does not expect the expansions to supply much of the additional housing needed within the next 20 years, however. "To continue on the path of protecting farms and forests, most of that housing is going to be built in existing downtowns and transportation corridors," said Metro Principal Regional Planner Ted Reid. In fact, the report mentions the option of building more so-called "missing middle housing," something the Tigard and Portland city councils, among others, have been wrestling with. "Missing middle" housing refers to housing for people of moderate income, as opposed to expensive housing and subsidized housing for low-income Oregonians. The Residential Infill Project now before the Planning and Sustainability Commission recommends rezoning 60 percent of Portland's single-family neighborhoods to allow smaller multi-family projects, like duplexes and triplexes. The recommendation is supported by density advocates but opposed by many homeowners and historic preservationists. The four city requests — all in or adjacent to Washington County — were received earlier this spring. They are part of a new Metro periodic process for determining whether and where to expand the UGB, the invisible barrier around Portland's suburbs, beyond which urban development is not allowed. The growth report says around 300,000 additional homes will be needed to house the additional 500,000 or so people expected to be living in the region that includes Southwest Washington by 2038. "We need more housing, particularly housing that is affordable to people with modest means; we need a greater variety of housing to match our changing demographics; we need more middle-income jobs; and, we need to do a better job of engaging diverse communities in decision making," reads the report. The report also says the four requests all compare favorably to the required factors in the state's land use planning goal — Goal 14 — governing urbanization. "In light of those factors, it is appropriate for all four to advance for further consideration by the Metro Council," the report says. The council received a briefing on the strengths and weaknesses of the requests from a City Readiness Advisory Group that studied them earlier this week. There is no guarantee the council will approve the requests, however. A few years ago, Metro added conditions to UGB expansion requests it will approve. In addition to requiring that requests explain who will pay for the needed infrastructure improvements, the cities must address such things as whether they have reduced barriers to mixed-use; walkable development in their downtowns and main streets; and whether they have implemented best practices for preserving and increasing the supply and diversity of affordable housing in their existing urban areas. Those were among the issues the advisory group that reported to the council Tuesday has been studying. As part of the new process, all of the requests would expand the UGB into urban reserve areas (called URAs) previously approved by Metro for future development adjacent to the cities. The largest request is from Beaverton, which wants to expand onto 1,232 acres in the Cooper Mountain URA for 3,760 homes. The next largest request is from King City, which wants to expand onto 528 acres in the Beef Bend South URA for 3,300 homes. After that, Wilsonville want to expand onto 271 acres in the Advance Road (Frog Pond) URA for 1,325 homes. 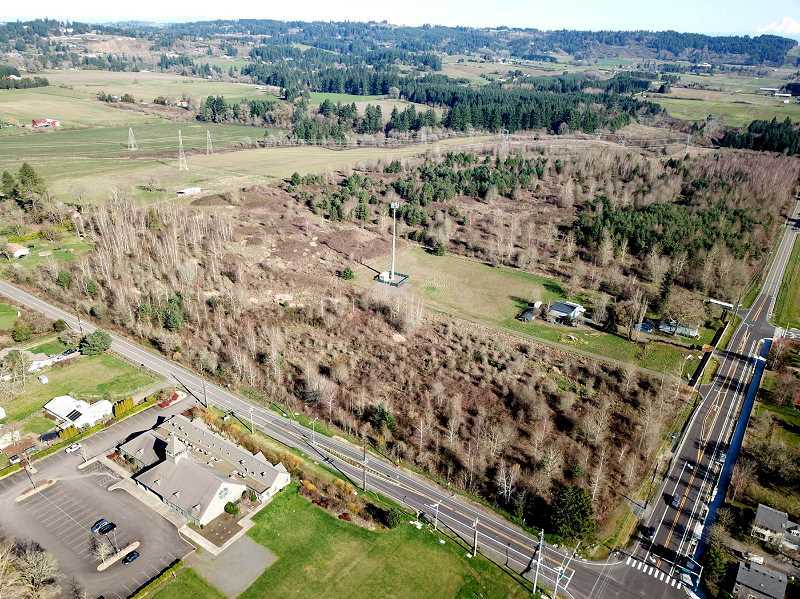 And Hillsboro wants to expand onto 150 acres in the Witch Hazel South URA for 850 homes. Metro is expected to discuss the requests over the summer and into the fall before making its final decision.